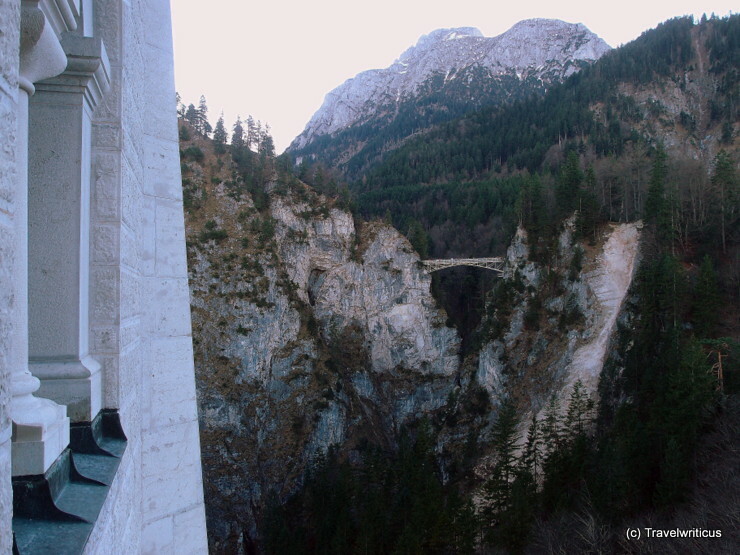 A longshot of the Marienbrücke taken from a balcony of Neuschwanstein Castle (Schloss Neuschwanstein). From there one has an excellent view over the whole castle. 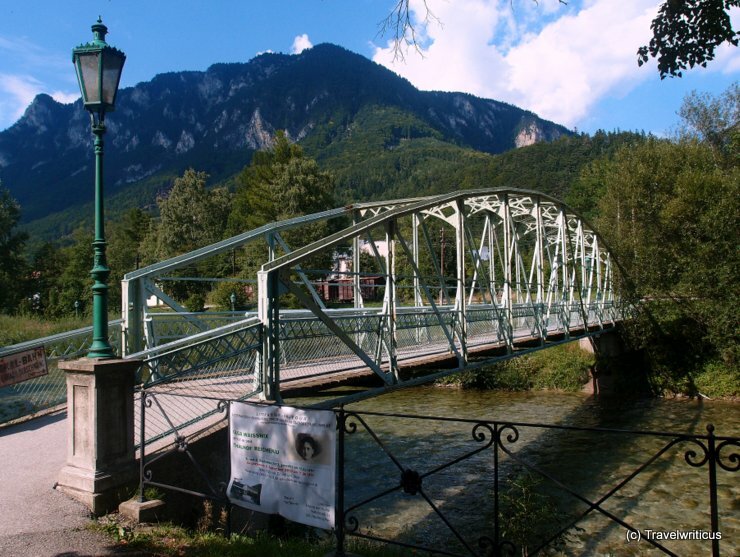 The bridge can be reached by bus starting near the ticket office in Hohenschwangau. 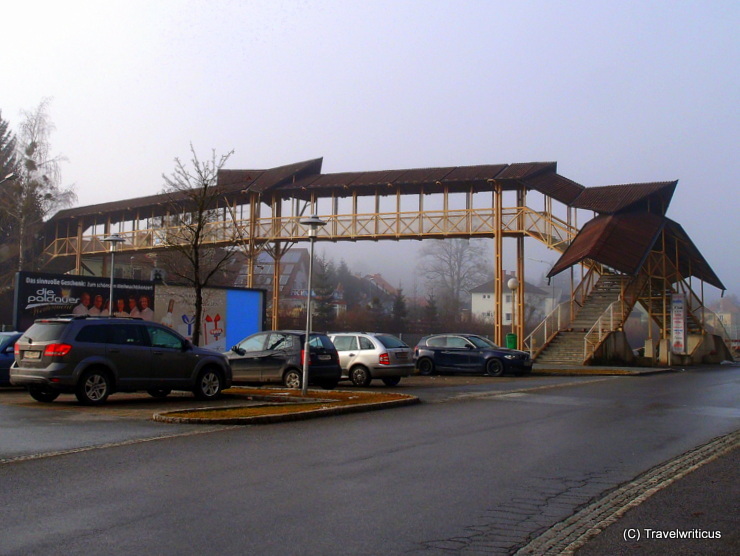 While travelling from Naumburg (Saale) to the visitor centre of the Nebra Sky Disk by bus I got this view of the new built Unstrut Viaduct which crosses the spacious Unstrut Valley. 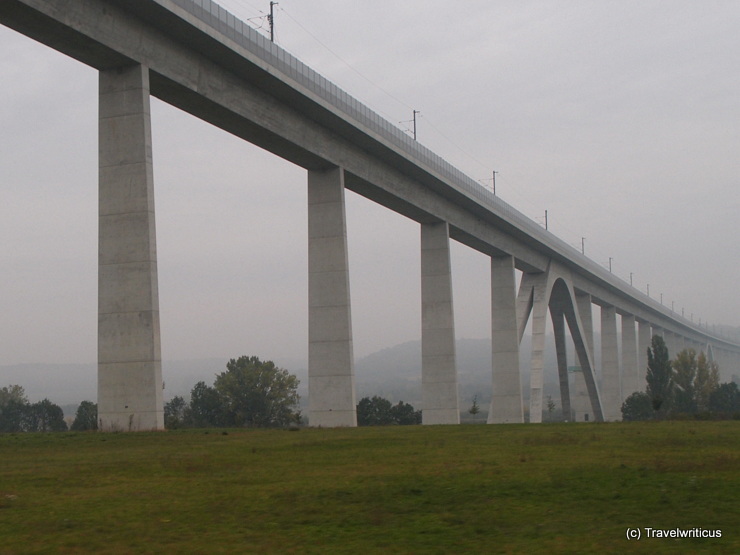 With a length of 2,688 m, it is considered as the second longest railway bridge of Germany. 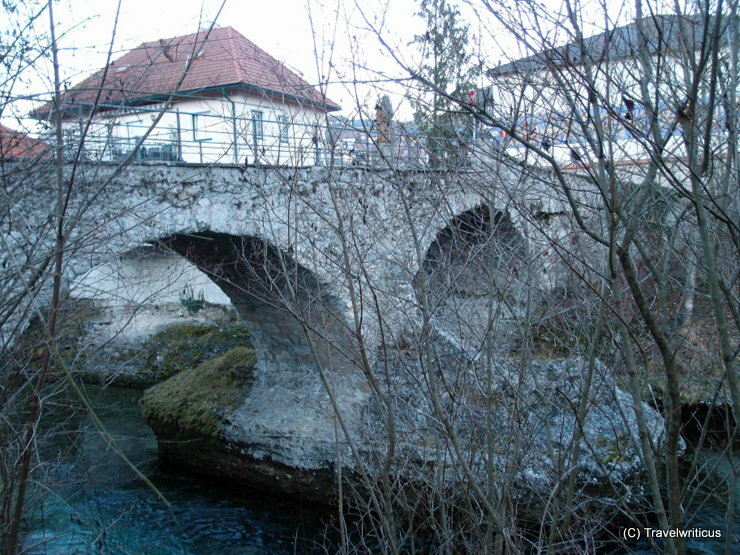 The Puh Bridge (Puhov Most) is named after Janez Puh, an inventor and mechanic who became famous for founding the Austrian Puch automobile plants. 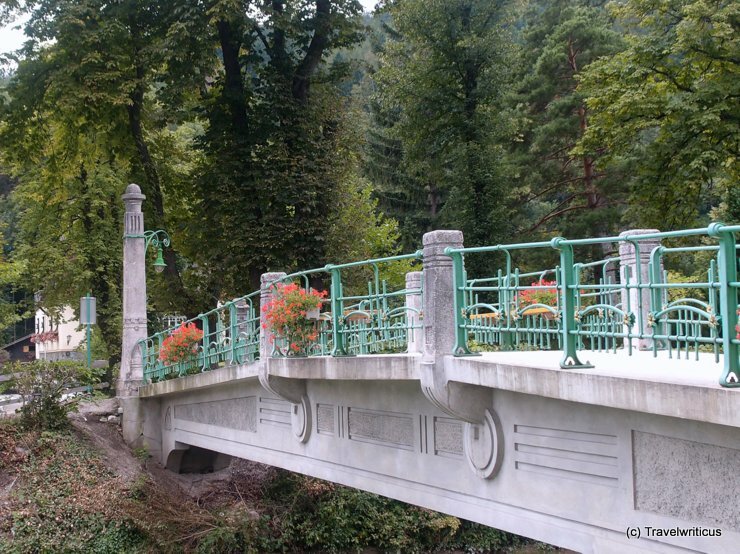 The bridge was created by Peter Gabrijelčič аnd Viktor Markelj and opened in 2007. 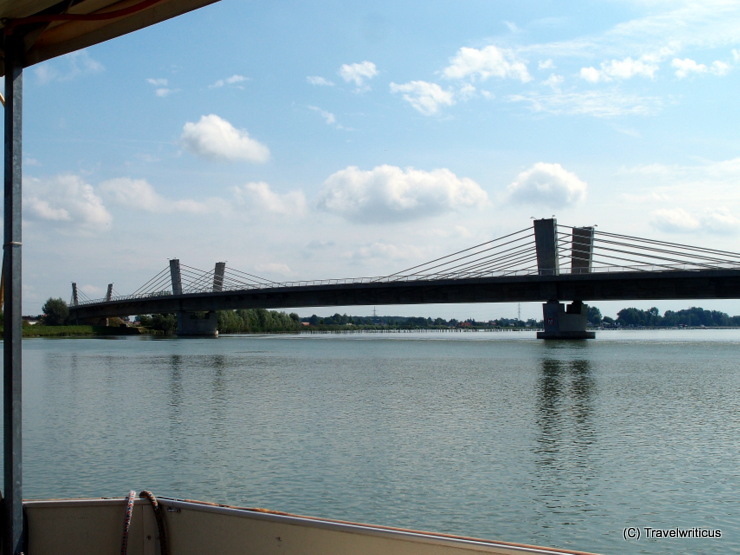 It is an extradosed bridge which spans the Drava River in a bow. 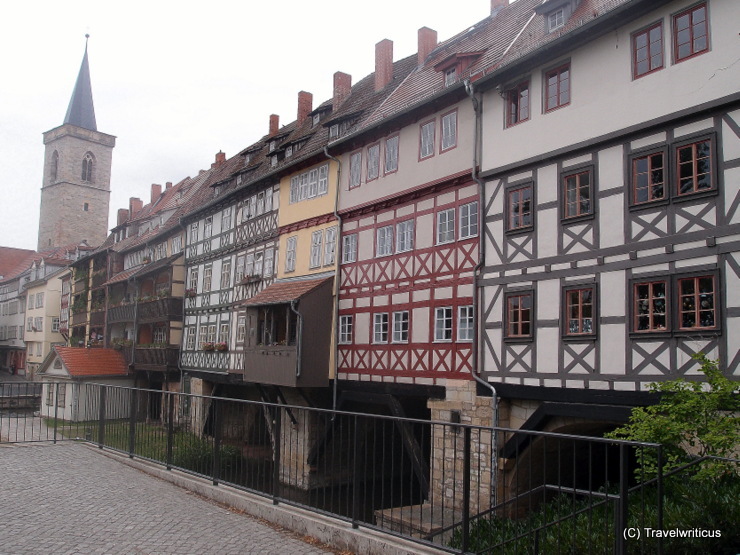 The Krämerbrücke is a bridge covered with 32 inhabited, half-timbered buildings. 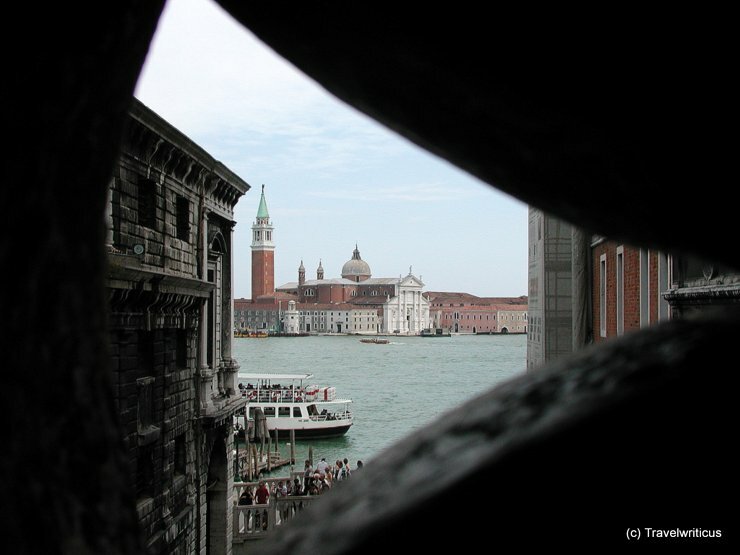 Most of these buildings houses artisans’ and antique shops. 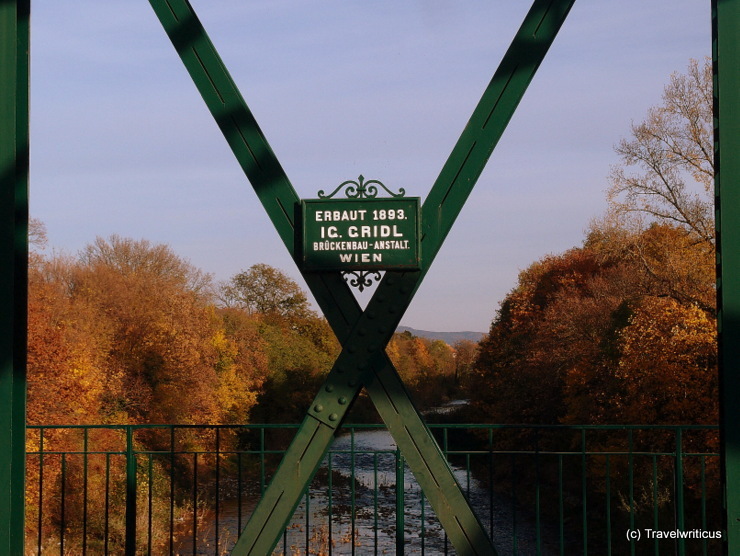 In building N° 31 a permanent exposition informs about the past and present of the Krämerbrücke.